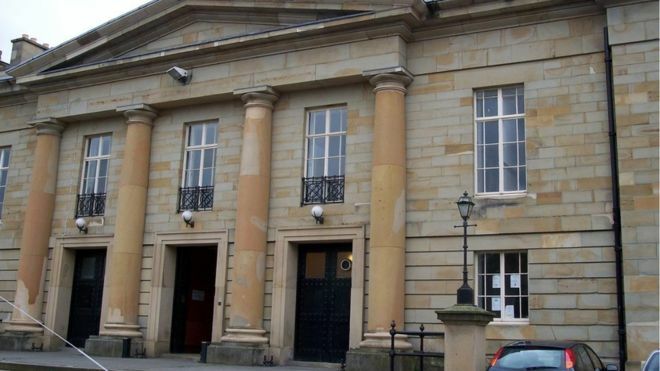 Several Sedgefield area residents including a number of regular churchgoers will find themselves in the dock and the cells at Durham Crown Court later this month. They will be in a party given a special tour of the Court at 5.30pm on Wednesday, June 27, by no less a prominent legal personality than Judge Christopher Prince, Honorary Judicial Recorder of Durham. Judge Prince will give the visitors a detailed history of the Court and also outline some of the famous cases tried there including that of mass murderer Mary Ann Cotton who poisoned 22 people, including 11 of her own children, by lacing their tea with arsenic. The visit has been organised by the Friends of St Edmunds and is open to anyone for just £5 excluding travel. Parking is available outside the Court. Reservations can be made with Mr Mutch on 01740 622302 or chairman Ron Eyley on 01740 645854.